hire4event.com offers a range of temporary marquees for almost every occasion, from shows and festivals, exhibitions and celebrations to sporting events. Whatever the occasion, you can rely on GL events to get the job done with flair, enthusiasm and commitment, with event marquees that create a lasting and distinct impression. Whether you are looking for a Traditional Marquee, such as the classic pole tent or tensioned tent, or a Clearspan Marquee (utilising one of our contemporary aluminium framed marquees) affording uninterrupted views within your event marquee, we can provide a structure that is custom-made for your event environment. 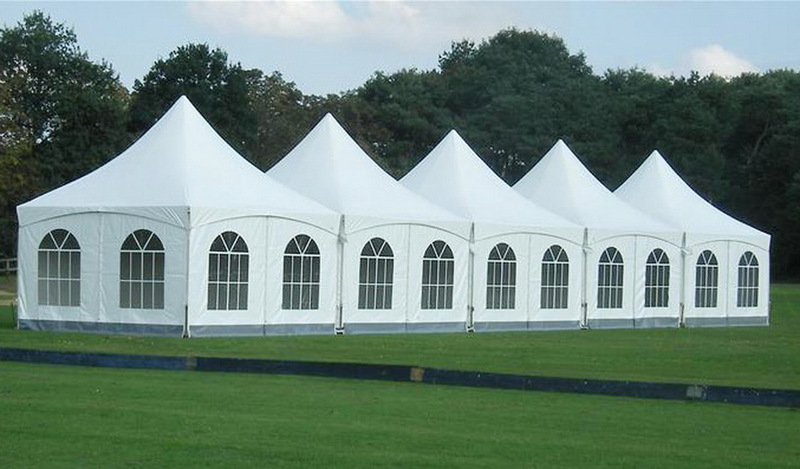 We can also accommodate a wide range of marquee sizes. So whether you are looking for a 14,000m2 marquee structure for a show or festival, or 9m2 for a retail trade stand at an exhibition, we can meet your needs. All of our event marquee configurations are developed individually, based on your event requirements. So they can be as unique as your event is. We will talk to you about your event, determine how your marquee is going to be used and your budget, and develop a proposal for a temporary marquee that offers the most cost-effective and suitable event space that meets all your needs. Our involvement in your event can be as little or as much as you need. From the provision of your marquee structure, to expert advice, support and guidance (including the supply of fixtures, fittings, lighting, heating, washrooms, power distribution and theme effects), GL events has it covered. So whether you need a basic marquee structure for use at festivals and shows, to a fully lined, floored and carpeted event marquee environment for hospitality and dining areas at a corporate party or graduation ball, we can provide you with the ideal temporary marquee solution.